Availability: Email delivery within 24hrs (Mon-Fri). 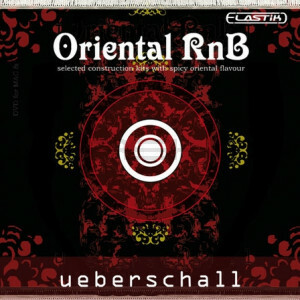 Oriental RnB is the ultimate point where the east and the west intercept on the highest musical and sonic level. This very point is touched by spicy oriental flavour combined with modern dance, pop and RnB tunez. Ueberschall's collection of selected construction kits with a nice oriental taste. 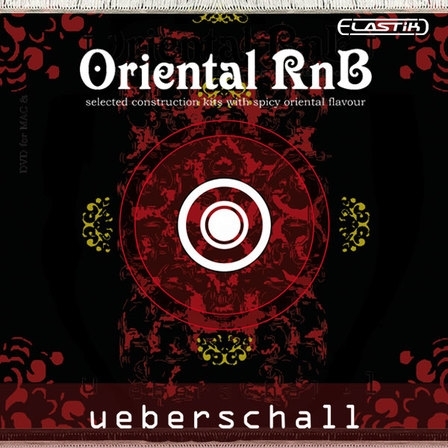 Oriental RnB is the ultimate point where the east and the west intercept on the highest musical and sonic level. This very point is touched by spicy oriental flavour combined with modern dance, pop and RnB tunez. Oud, Tar, Kemance, Santur, Violin, Kanoun, Accordeon, Bouzouki, Ney, Pipes, Darbuka, Duff, Zarb, Rhodes, Piano, Organ, Synth, Acoustic and Electric Guitar, Vocals, Drums & Percussion. In total 3.2 Gigabyte of loops and single drum sounds. Oriental RnB has been recorded with high quality studio equipment by exceptional sound engineers who know their business. It comes with Ueberschall’s brand new "Elastik Engine" technology - all the functionalities which are needed for professional use. All tracks are produced and supremely engineered by Kamran Tatar (A-tee) at Noizia Productions Sweden. A-tee’s aspiration with this product was to achieve a superlative product that outstands the average sample library standards, and provides a massive amount of ideas and live played samples which could help the user to create unique works with traditional sound images.